Dr. Michele Maio at the University Hospital of Siena in Italy doesn’t need to wait for results of the ongoing, multicenter, worldwide clinical trial involving the latest immunotherapy drug for malignant mesothelioma. He already is a believer. Maio and his colleagues in the oncology department recently published results of their smaller, one-center study detailing the effectiveness of tremelimumab, a drug that helps the body’s own immune system to destroy mesothelioma cells without harming healthy ones. Tremelimumab, which is given intravenously, essentially unmasks the tumor cells and unleashes the immune system to do its work. Maio worked closely with lead researcher Dr. Luana Calabro, M.D., and several others before publishing the findings in Respiratory Medicine. They enrolled 29 previously treated mesothelioma patients between July 30, 2012 and July 15, 2013. The patients were given 10 mg/kg once every four weeks for six months, then every 12 weeks or until disease progression. Previous studies, which showed less impressive results, included 15 mg/kg every 90 days. The intensified scheduling proved to be just as safe, but elicited a much better response. More than half of the patients achieved disease control with a median duration of 10 months. All but one of the 29 patients enrolled had pleural mesothelioma, and 21 of all patients had the epithelioid histology. Six were biphasic. The median age was 65. The median immune-related progression-free survival was 6.2 months and the median overall survival was 11 months. The one-year survival rate was 48.3 percent. Maio and his peers at the medical oncology and immunotherapy department in Siena were so encouraged by the results they are planning a different study this summer. It will combine tremelimumab with another immunotherapy drug that targets protein agent PD-L1, a different immune system inhibitor. The larger study of tremelimumab for mesothelioma therapy is slated to finish early in 2016 and is expected to confirm the effectiveness of the drug. It is a randomized, double-blind study that covers 102 locations over 20 countries around the world. Maio believes that the current standard of care for mesothelioma — surgery, chemotherapy and radiation — may be expanded soon to include immunotherapy agents. 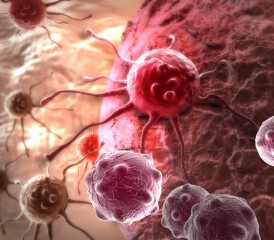 Both studies included only patients who already had received chemotherapy.